They are making a mess on paper and it's ending-up looking like ... a horse!? Wee note to all fellow artists, when they (time and inspiration) come calling at the exact same time. Knock on the creativity door with a synchronised bang! Peek through the same window holding hands. They are not playing any kind of joke. There is no blue moon. They are, simply (amazingly), in the same room at the same time. A feeling of speed and lightheadedness. A feeling of good solid fun. 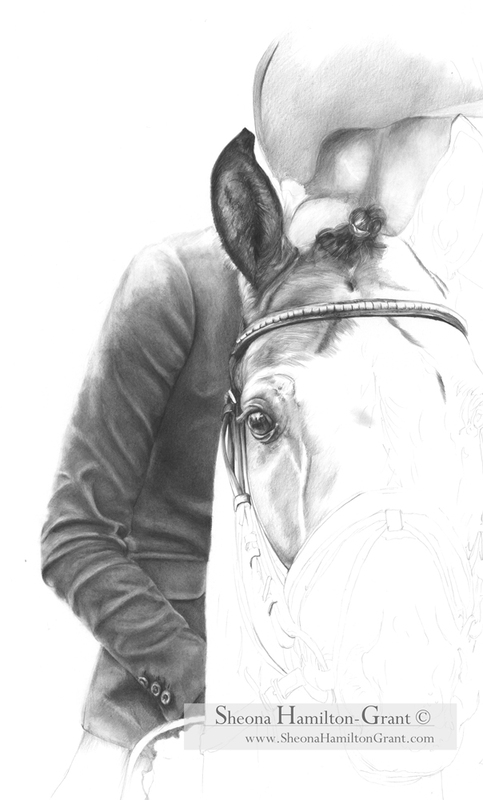 Not finished, but here to prove my thoughts: the first few steps in the still-to-be-titled-big-portrait-of-beautiful-stallion.